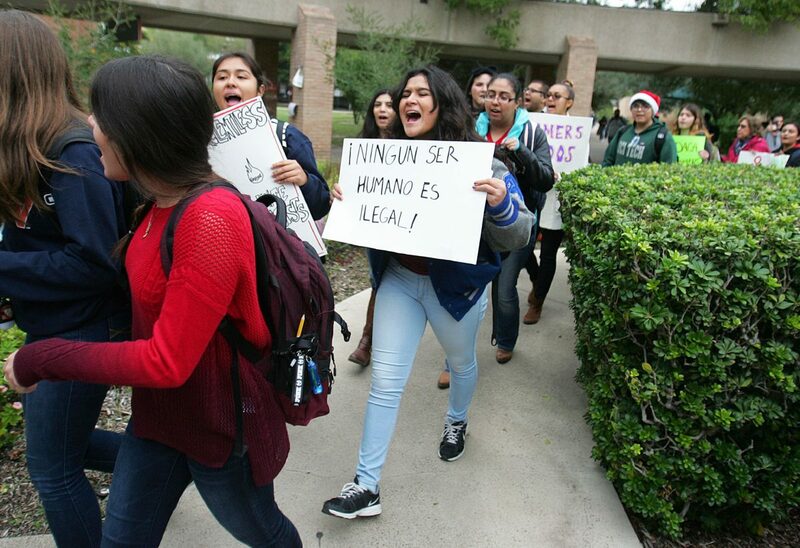 Dreamers and supporters of the DREAM Act march in protest of the repeal of DACA at the University of Texas Rio Grande Valley on November 9, 2017, in Edinburg. Depression, anxiety, frustration: This was my reality as an undocumented young woman living in the United States. For many years the love and support of my family was the only thing that sustained me. In 2012 my life changed with the implementation of DACA (Deferred Action for Childhood Arrivals) program. A weight was lifted off my shoulders when I learned I would be able to live a normal life. I immediately began to daydream as I had when I was a little girl, optimistic about my new life in the United States. My new DACA status would allow me to finally be able to come out of the shadows — not only to survive, but to thrive. In July of 2015 my son was born, instantly bringing light into the world. I had carried him for nine months with mixed emotions of hope and fear. I worried how the world would welcome the child of a Dreamer. I cried when I played out all of the what-if scenarios in my head. What if one day they ended DACA and tried to deport me? The stress was relentless, but I made it through and found ease at the first sight of my baby’s smile. The last two years have been like nothing I’ve ever experienced. There have been many ups and downs on the rollercoaster of motherhood. I remember my heart filling with joy when my son, Iker, said “Mamma” for the first time, and I also remember the worry and frustration I felt as he started to fall behind and was diagnosed with a speech delay. But Iker and I have an indescribable bond. He refuses to fall asleep at night unless I am by his side and his little hands can touch my face. Our family is bound by unbreakable love. Still, In the back of my mind the uncertainty about what could happen to our small family has always remained. Recently my concerns have been resurrected. 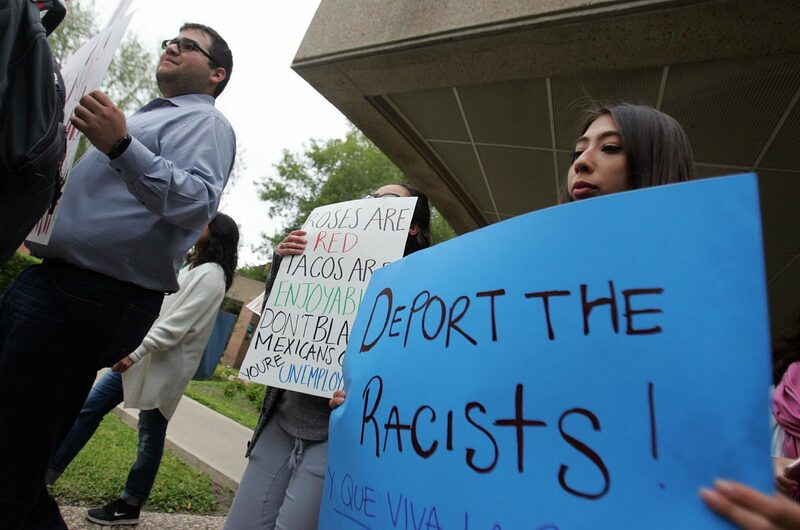 DACA recipients have once again become the subjects in a political game after President Donald Trump in September announced he would end the program this year, beginning in March. Our lives are now in the hands of a Congress whose extreme bipartisanship could threaten our livelihood if a permanent solution is not reached soon. I find myself thinking about what my family and I will do. How will we financially maintain our new house and be able to able to put food on our table? What happens to our son if ICE comes to tear our family apart in the middle of the night? These are all painful questions I now have to answer and plan for. There are more than 800,000 DACA youth across the country, like me, who face the same complicated questions, many of them also parents. Ending the DACA program is more than just about contributed dollars lost to the economy. It is more than just companies losing employees, and it’s more than certain elected official getting their way to gain political points. Ending DACA means ending the livelihood of real people. It means homes lost, families living in fear and in hunger. It means children, like Iker, crying as they are torn from the arms of their mothers. Congress has the opportunity to pass a permanent legislative solution to protect Dreamers by ensuring a DREAM provision is added on to the must pass spending in the upcoming weeks. The deadline to pass this new spending bill is Jan. 19. I strongly believe we cannot justify protection of one group of marginalized people while simultaneously creating policy that will further criminalize and separate families. Ending chain migration, the lottery system, TPS, and further militarizing the border will create a multitude of problems for the country and our immigrant communities.